Choosing a good quality fuel for your vehicle is important. Fuel serves as the food of the vehicle’s engine, so it would perform at its best only if it has been fed with good quality fuel. In line with this, Caltex has finally revealed the results of a borescope test conducted in October this year. In case you’re wondering, the borescope test is a procedure that examines the interior of the vehicle system to inspect the cleanliness of critical engine parts through a specially designed camera. Using Karl Storz Endoscope (borescope), Chevron engineers took photos of intake valves and ports (thru fuel injector hole). After that, the experts graded them using a Co-operative Research Council (CRC) Intake Valve Deposit (IVD) rating system with 10 as a score for a perfectly clean valve. Conducted across four Asian markets including Philippines, Hong Kong, Cambodia, and Thailand, the team inspected a total of 694 valves from 94 car. As a result, users of Caltex fuels achieved an average of 9.7 out of 10 rating, surpassing the average 8.9 score of vehicles using lower quality fuel. Meanwhile, Philippines alone, attained a 9.8 out of 10 score in the cleanliness of engine intake valves. This impressive outcome has become possible thanks to Caltex with Techron that contains Clean & Glide Technology to clean and protect the vehicle’s engine. To explain further, Techron is Chevron’s unique fuel additive made by over 30 years of research and development. It contains a polyetheramine component designed to clean up fuel system deposits and prevents them from reforming as a combustion chamber deposits. Also, this 5-star fuel formation is proven to reduce friction and wear of metal surfaces by an average of 41% and 38% respectively compared to the company’s previous formulation. 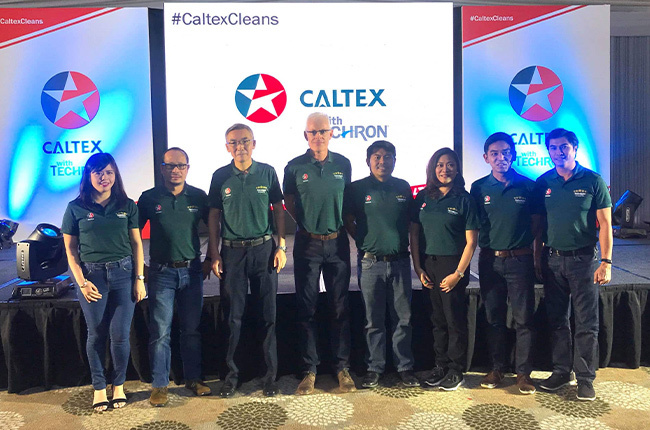 Moreover, Caltex with Techron provides motorists with five benefits such as improved economy, maximized power, reliable performance, lower emissions, and smoother drive. 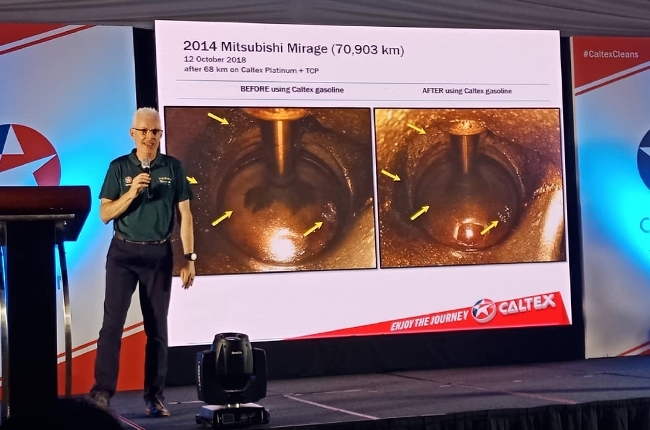 This borescope test shows Caltex’s commitment to cleaner engines, while keeping its roots to evolving nature of Techron for the future engine advancements and catering local market needs.